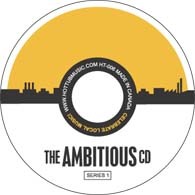 The third compilation detailing local music to be released by Hot Tub records, The Ambitious CD tracks the current moment in acoustic recording in this city. From the quasi-religious eccentricity of local enigma Waxmannequin, which opens the disc ("Paper Snake") to the perfectly rough-around-the-edges acoustics of Mark Raymond ("Sun is Burning") which finish it off, this disc covers all the names you know, should know or need to know. I would agree with any argument for the vitality of the music scene in this city. This compilation is not only proof but a perfect way to sample songs from artists that may only otherwise be available at live shows. In fact, these recordings have captured the quieter side of song that is often lost in the rumble of the crowd in a live setting, making this disc worth much more than the price of admission. Hot Tub Records returns with their third and, in some ways, best compilation of local artists. 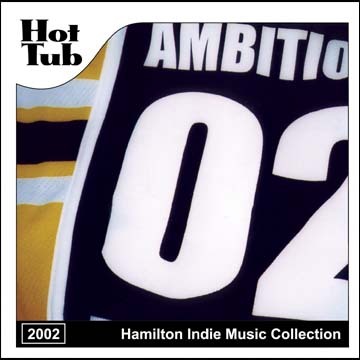 Originally conceived as an all-acoustic collection, the Ambitious CD morphed over time, but still features a focus on songwriters and less full�out rawk (after all, Hot Tub�s previous last compilation covered that territory). This gives the disc a more cohesive feel; the tracks fit well together, whether they be electro (Cartoon Me), rock (Les Cooper) or acoustic (Mark Raymond). The comp begins about as strongly as a local comp can begin � with Wax Mannequin�s �Paper Snake� (if there can be such a thing as classic Wax Mannequin, this is it). Other highlights include, but are not limited to, a previously unreleased track by Matthew Barber, Zander�s �Momento�, Chore�s Chris Bell on a solo joint, and an absurdly neat cover of �Paranoid� by the decidedly un�Sabbathy duo of Lisa Winn and Rob Lamothe.